Linda Baker is an R.N. with a psychiatric background who is engaged in a passionate lifelong healing adventure to expand her own personal life as well as to assist others achieve deep healing and personal growth. She studied and became certified in Reality Therapy with Dr. William Glasser in 1977, Alchemical Hypnotherapy with David Quigley in 1984 and completed the Intensive Training Program with Louise L. Hay in 1989. Also in 1989 she earned a BA of Metaphysical Science from the University of Metaphysics. Linda is a Reiki practitioner, studied Omega Healing, trained in Crystal-Sound Therapy with James Hughes, achieved a level 3 in Reconnective Healng with Dr. Eric Pearl, and in 2011 received the highly esteemed credentials of Master Alchemist from the Alchemy Institute of Hypnosis. Linda has also completed several classes with Master Co concluding with the Advanced Pranic Healing course in 2011 and, a lifelong student, she has trained with Tom Kenyon, and many others. Linda Baker lives in the Seattle WA area with her husband Tom. 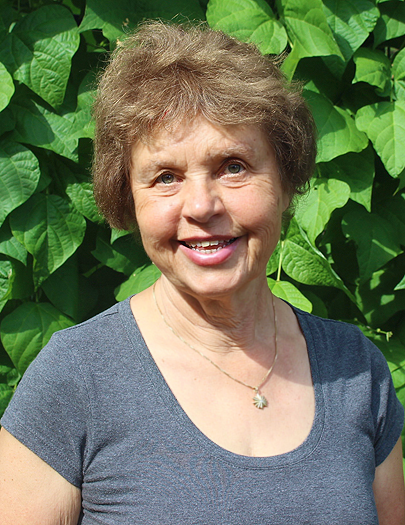 She is devoted to her family, clients and many friends, loves her running club, playing with her grandchildren, supporting LGBTQ Community events, officiating at marriages and other ceremonial activities; she is an avid gardener and travels widely. "What a pleasure to get to absorb some of her experience, philosophy, and tactics. Very worth the money and time spent. Throughout the training, Linda shared personal experience and time-developed methods." "When will Linda be back? I want to audit the next class!"